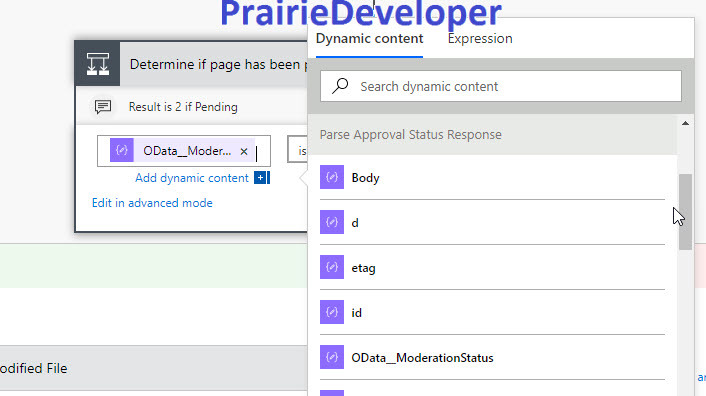 To accomplish this you will need to review two of my previous post on parsing JSON in Microsoft Flow. 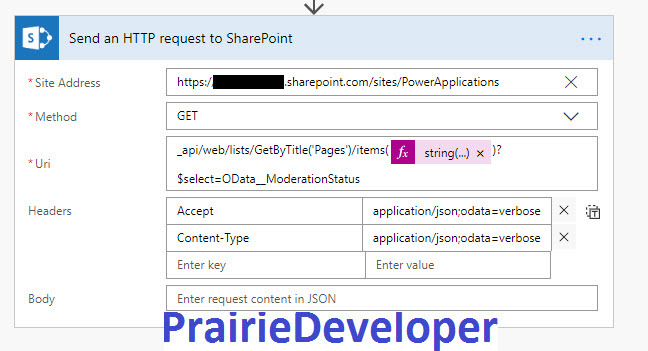 The reason being is you are doing this with an HTTP call to a SharePoint REST endpoint. When you enable content approval it adds a new column to the list\library called Approval Status. 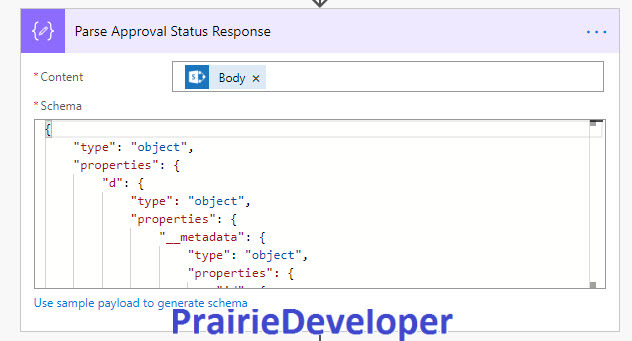 While poking around to the columns returned in an item call I noticed an internal column called OData__ModerationStatus. This looked conspicuously like a column that I needed. Further investigation indicated I am likely correct. This means then that while Microsoft Flow will not accomplish what we want, a REST call certainly will. In fact, just getting the item will return the value, but we are going to refine that down so we don’t have to dig too far into response body to get the information we need. And that’s all there is to it. Until Flow allows you to check it as a built-in feature of the service, this solution should work just fine. Hi – this is exactly what I’m looking for and I was happy to find it. But I can’t get the whole “Fiddler” part to work. Fiddler is installed and I try to give it different kind of URLs, but I get all sorts of errors back, like “Error 400. The request is badly formed” and “403 FORBIDDEN”. I have tried different things for the last half hour and have given up and will have to search on for another solution. In short, insted of using Fiddler to get the JSON object, I just used Flow to send it to me in an e-mail.